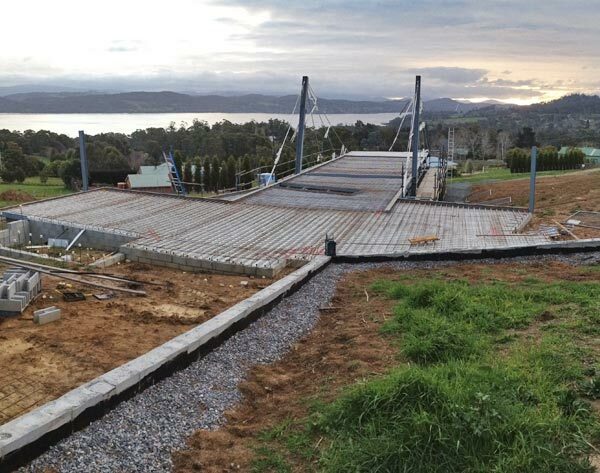 Prime Plumbing & Heating provides installation of hydronic heating systems, serving all areas across Launceston and surrounds, from Deloraine to Georgetown, St. Helens to Campbelltown. We also provide large commercial hot water systems for hotels, factories, plants. Our hydronic heating systems include floor heat or radiators and may use heat sources such as wood-fired boilers, high output slow combustion cookers, waste oil boilers, LPG or NG boilers and air-sourced – hydrocarbon – hydronic heatpumps. 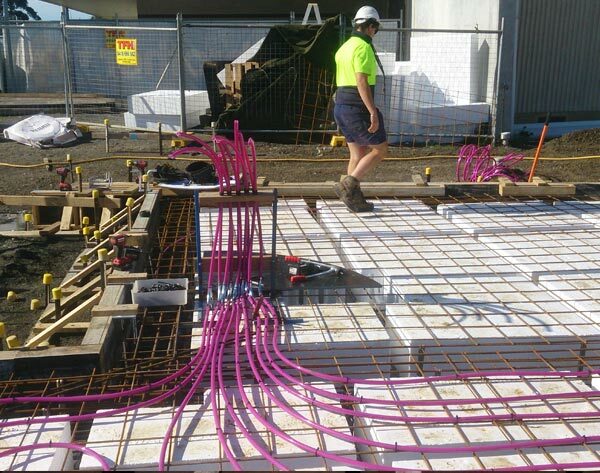 Multi-layered poly pipe is tied in circuits to steel mesh prior to concrete slab pour. Circuits run to a central manifold with valves so different areas can be turned on or off. This is an ancient method of floor heating with its origins in early Roman times and also the Himalayas. 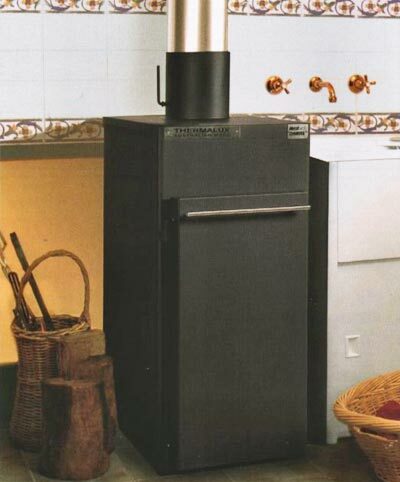 This dedicated boiler can be installed as a stand-alone boiler to heat up to 200 square metres (20 house squares) or as an “add-on” to a Thermalux cooker to provide additional heating. The Dynamic 2500 is a very compact, competitively priced unit which because of its size may require refuelling more frequently to achieve the best results. This unit can also be successfully installed in a laundry area, turning it into a perfect drying room. 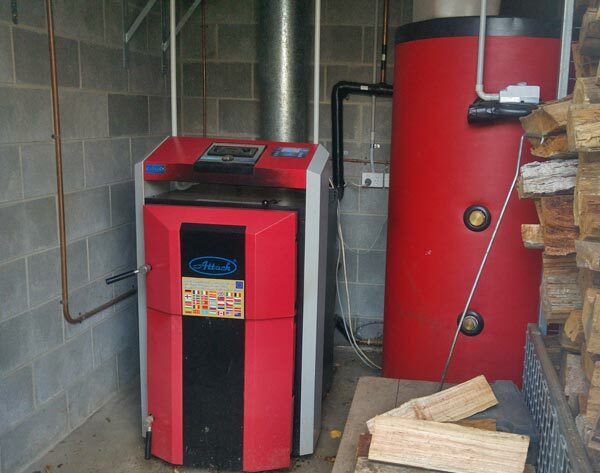 This is a versatile dedicated hydronic heating boiler with cleverly designed waterways and smoke paths to gain the maximum heating from its compact size. 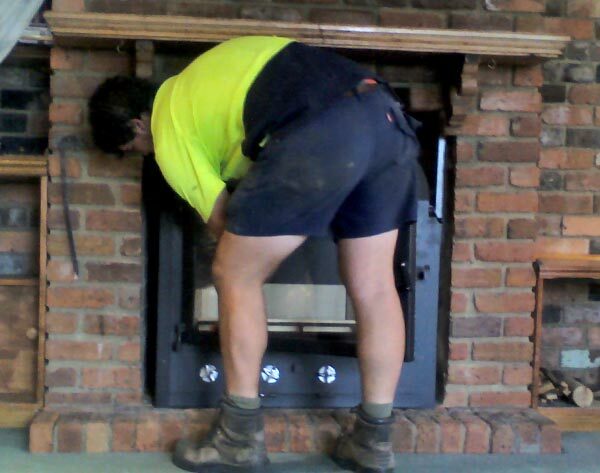 Its design allows the boiler to be heated on all sides to give maximum efficiency and heat output. 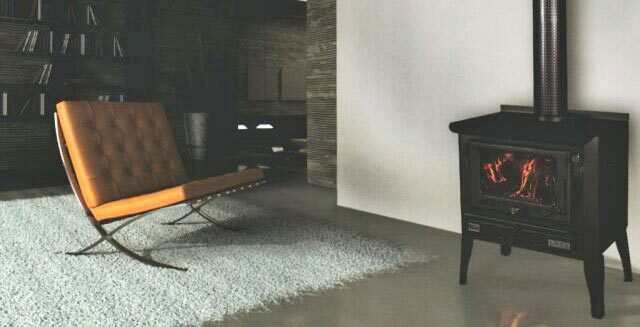 With its clean lines and a glass door fitted, the unit is perfectly suited for the living area of any home where it can provide space heating to the room in which it is located, as well as central heating to the rest of the house. The Dynamic 3500 is also available with a solid firebox door for installation in a garage or plant room. 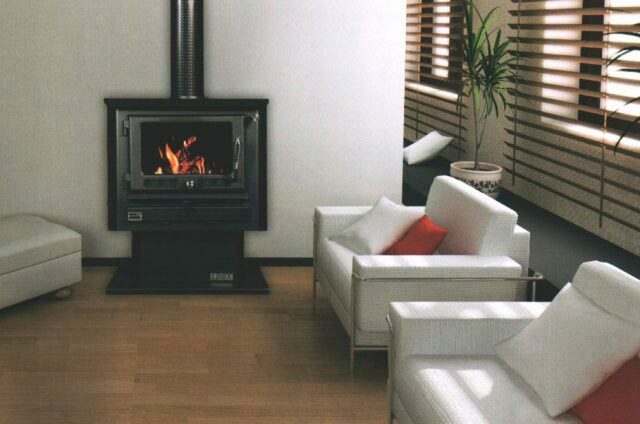 The Dynamic 3500 is recommended for heating areas up to 300 square metres (30 house squares). 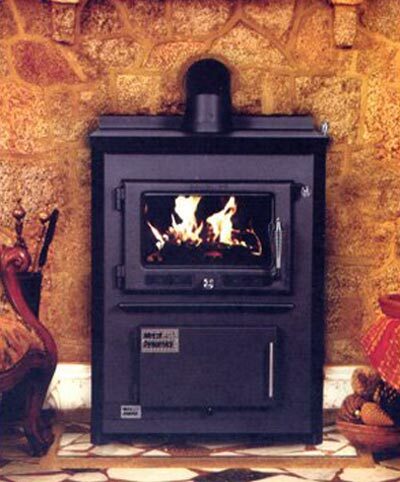 The Dynamic 3500 comes standard with grate and self scooping ashpan, separate firebox and ashpan door, separate damper and air controls and uses a standard 150mm (6″) flue assembly. 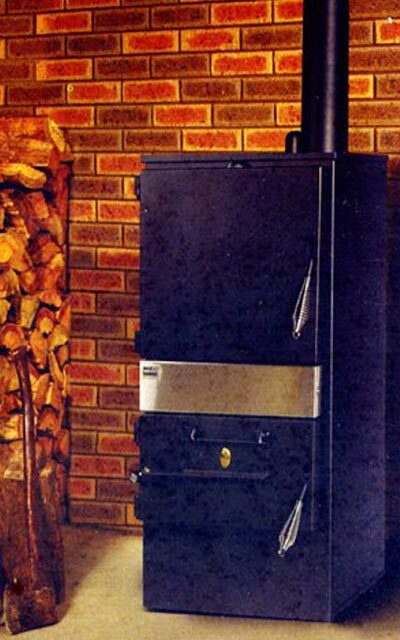 The Belvedere incorporates some innovative changes to boiler design and operation. The Belvedere has a large symmetrical firebox which will continue to give high output temperatures with extended times between refuelling. Although primarily designed for installation in a plant room, it can also be installed in a living room and a glass door is available on request for an additional cost. 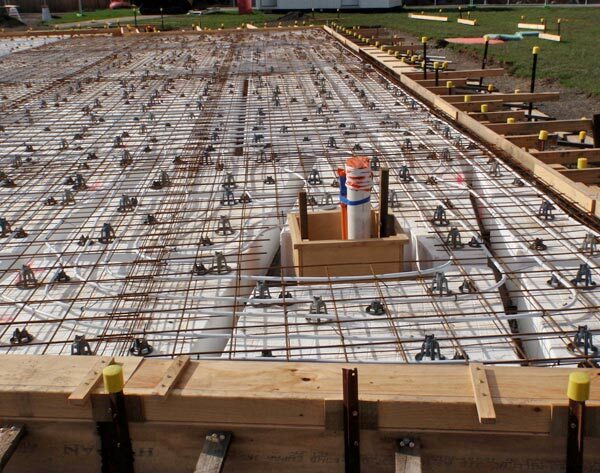 The Belvedere is the best choice for in-floor slab heating as its high output, spacious firebox and considerable water jacket capacity, enables the initial temperature rise required for in-slab heating. The Belvedere comes standard with both manual and automatic air-flat control, self closing draught diverter, and temperature sensor. The Linea on legs is a crossover between the traditional European style and North American units. With the Linea on legs, the hot water pipes are usually concealed within the wall or can be installed behind the flue casing. With its benchmark contemporary styling, this unit will blend into most areas. The pedestal has the advantage of hiding heating pipe if the installation requires pipe work to the sub floor or a lower storey and cannot be concealed within the wall. 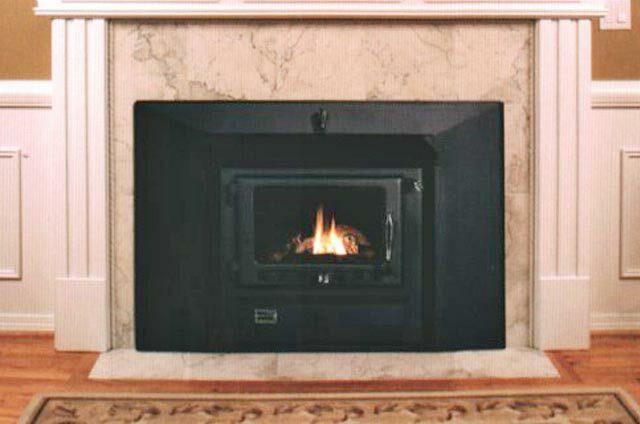 The Linea Inbuilt is the ideal space saver to fit into an existing chimney or as an insert installation in a new construction. To improve the ease of installation, the Linea Inbuilt can be supplied with the water connections on either the left hand side, right hand side or centre rear.